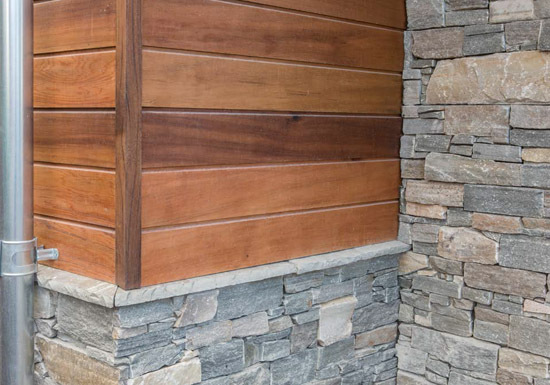 "Real stone panelling systems designed to create a natural finish." 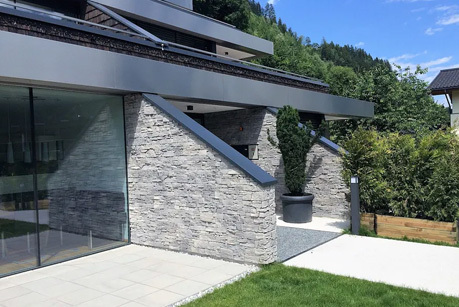 "Stone cladding is a specialist stone panel system, suitable for walls, facades both internally and externally. Each individual panel is made of natural stone materials including quartzite, gneiss, limestone, sandstone or slate joined to a cement base reinforced with a light metal or fibre glass mesh at the base." 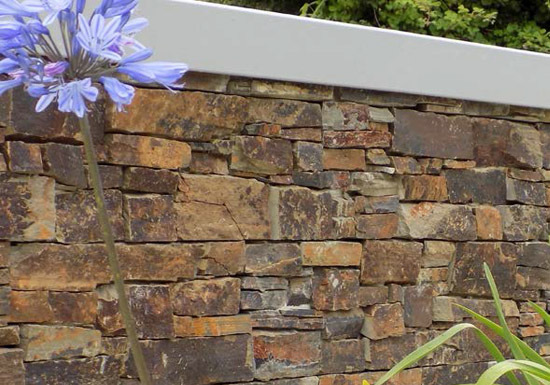 Tier Cladding is created from natural stone, it has the form and characters of a dry stone wall. However the Tier cladding tiles are assembled in a Z formation which allows each section to interlock aimlessly. The stone cladding has a stunning and unique feel to it. 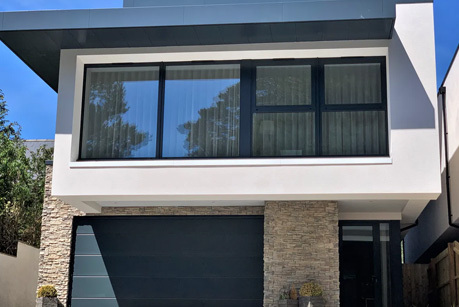 The panels are realistic and give the feel that each panel is completely separate because of this it allows the tier cladding to come in a huge range of sizes or finishes. 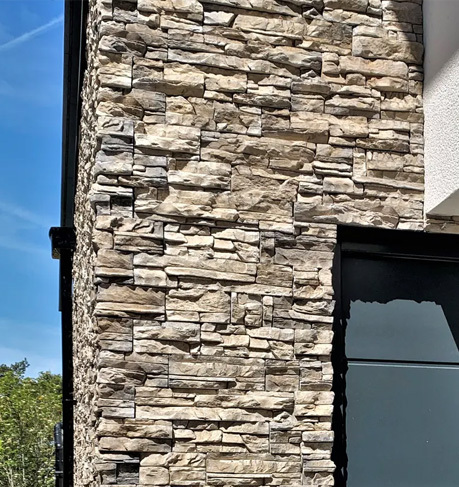 The reason why the Tier cladding is so simple and efficient to use is because it gives the effect of a natural stone wall without the need of a qualified stones man. The product is increasingly popular with contractors as there are no specialist skills involved. The MultiPack Panel System cab be used for any application including feature walls, fire places, external and commercial projects. 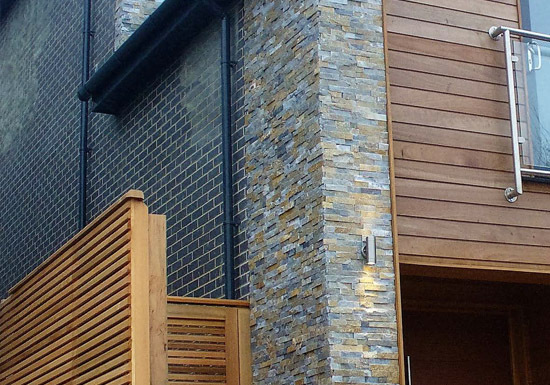 Our contemporary range of stone cladding is a thin stone veneer made from split face stone. There are various textures and depths and they all showcase the natural beauty of the stone.
! Tier Stone Cladding is Fire Rated to ensure your safety ! 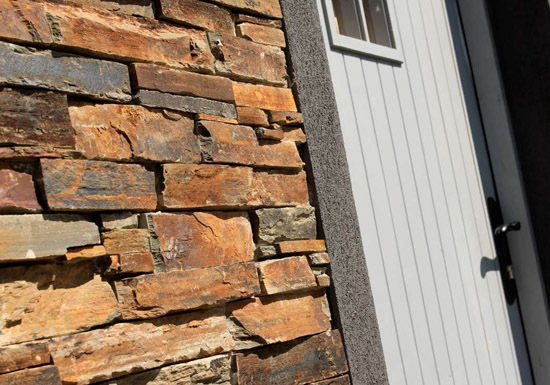 Tier Stone Cladding is made from natural stone which means that it has all of the characters of a dry-stone wall. Each section of the cladding interlocks together to achieve the charm and elegance of a natural stone surface.